Flipping Lincoln: Watch the movie Lincoln & discuss at #edfocus on Lincoln's birthday! I am a huge fan of twitter and continue to use it as a 24/7/365 portal to learning. As an instructional leader, I am constantly looking for ways to discuss topics on leadership and educational innovations on twitter. It is my intent through this post to use twitter to combine my interest in the "Flipped Classroom" with my passion in the leadership lessons of President Abraham Lincoln. 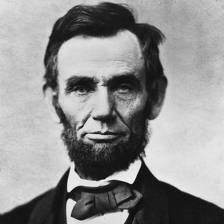 I offer you the opportunity to join a discussion on leadership via twitter on Lincoln's birthday, February 12, 2013 at 8pm EST at #edfocus. I am intrigued with the concept of the "Flipped Classroom." Wikipedia defines it as a form of blended learning which encompasses any use of Internet technology to leverage the learning in the classroom. For an excellent visual definition of the "Flipped Classroom" check out this Flipped Classroom Infographic. I am interested in trying this concept out with you on twitter, and would love for you to join the fun! Like many Americans, I admire President Lincoln for his leadership qualities, and believe we can learn so much by studying him. Today on twitter I came across this interesting post Spielberg's "Lincoln" Has Big Lessons on Leadership by Thomas J. Lee. Lee states that "more books have been written and more movies filmed about Abraham Lincoln than anyone else in modern civilization, and for good reason. His life and his presidency offer timeless lessons on leadership, character, and communication. Steven Spielberg's new, eponymous movie is no exception. It is excellent, and I urge everyone to see it." I am truly excited to see the movie next week! I was hoping to have some fun learning by flipping the Lincoln Movie and discussing it on twitter. My thought is to invite you to watch the movie on your own, and join me in a twitter chat to pay tribute to President Lincoln on his birthday to discuss it. I think there can be so much to talk about - the movie (actors, plot, accuracy), Lincoln (leadership, life, lessons) and how both play a role in our lives as educators, leaders, parents, students and citizens. Possible extra credit assignment for your students-watch movie and post at least 3 tweets to the #edfocus chat. Hope to see you on February 12, 2013 at 8pm EST on #edfocus! Please spread the word.